When will be Tribes, Predators & Me next episode air date? Is Tribes, Predators & Me renewed or cancelled? Where to countdown Tribes, Predators & Me air dates? 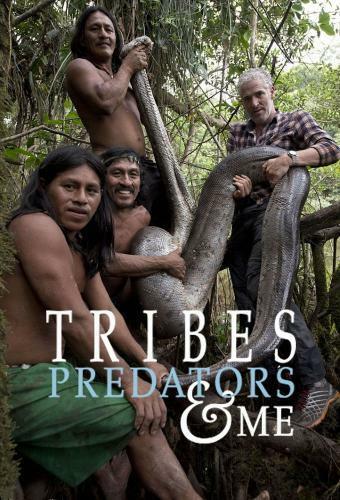 Is Tribes, Predators & Me worth watching? Gordon Buchanan travels around the globe, exploring how traditional hunting methods are used in tribal cultures. In the final episode Gordon Buchanan journeys up Papua New Guinea's remote Sepik River to meet two remarkable tribes who have learnt to live with crocodiles. Gordon Buchanan joins a tribal family on a remote Pacific island to see if it is possible to live close to sharks. Sharks are an animal most people find terrifying, but the men of Owarigi island in the SolomonIslands freedive to catch fish and encounter dangerous sharks almost every day, sometimes at night. Can the islanders teach Gordon to swim and share the ocean with sharks in this tropical paradise? Wildlife cameraman Gordon Buchanan joins a family of nomads to learn about golden eagles from the experts and help them train a young eagle to hunt. For thousands of years, Kazakh people of western Mongolia have formed a hunting partnership with golden eagles to help them catch furs to stay warm in the freezing winters. Gordon has a few painful lessons learning how to train and fly his young eagle. An eagle's training starts when it is less than a year old. Kazakhs always hunt with females as they are larger and fiercer than males. Gordon works with a young eagle to prepare it for its first hunt - will they be able to learn to trust and work with each other? And will he be able to get to grips with flying her, taking into account the wind and terrain, without getting hurt in the process? Wildlife cameraman Gordon Buchanan journeys across Ethiopia to try to understand the true nature of Africa's loathed and feared hyenas. Travelling to the remote Omo Valley to meet a cattle-herding people called the Bodi, Gordon finds the attitudes here are starkly different, with local people destroying hyena dens in retaliation for attacks on their livestock. Tribes, Predators & Me next episode air date provides TVMaze for you. EpisoDate.com is your TV show guide to Countdown Tribes, Predators & Me Episode Air Dates and to stay in touch with Tribes, Predators & Me next episode Air Date and your others favorite TV Shows. Add the shows you like to a "Watchlist" and let the site take it from there.